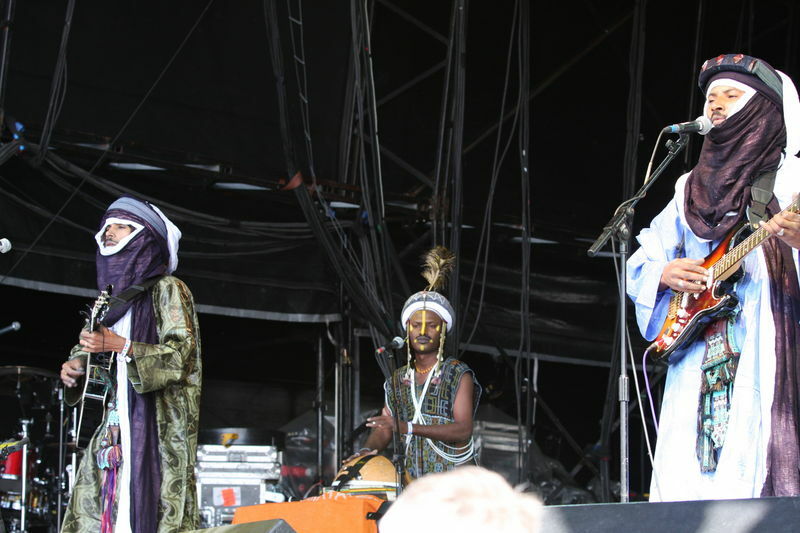 Etran Finatawa was formed as a band at the time of the 2004 Festival in the Desert near Timbuctou. The literal meaning of their name is ‘the stars of tradition’. 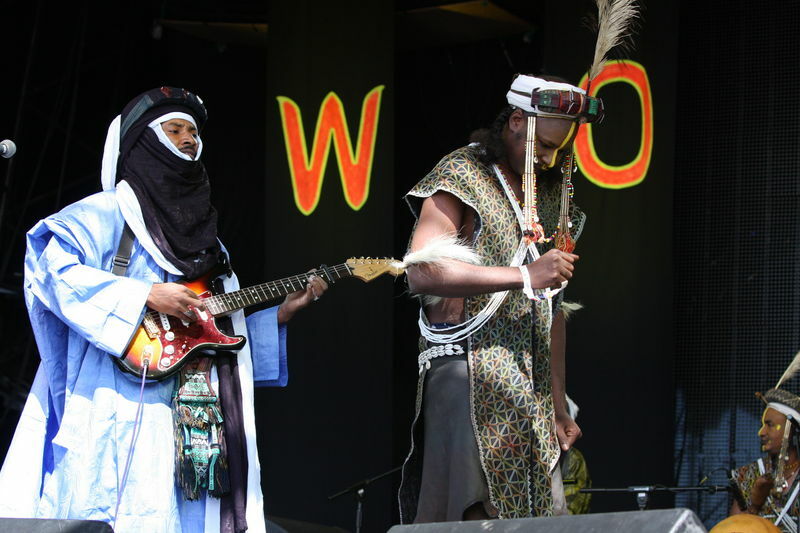 They are the first group to use the songs and music of the Wodaabe in a modern context. They began as a group of ten musicians who wanted to unite these two nomadic cultures as a symbol of peace and reconciliaton. 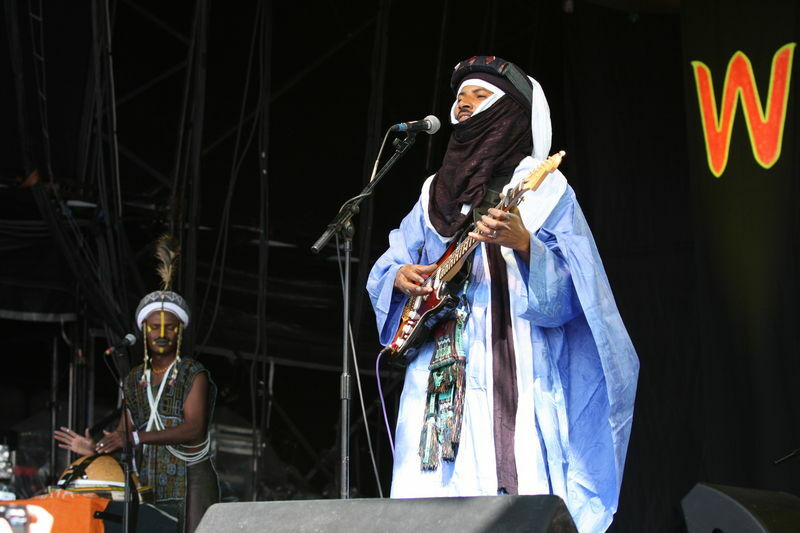 The touring and recording band consists of five players two of whom are Tuareg and three, Wodaabe-Fulani. In Niger the Wodaabe and the Tuareg live side by side on the desert’s fringes sharing pastures and water sources which sometimes leads to feuding. They work together to be strong and to give their culture a future in this changing world. The music of the two tribes is very different but the way it has been combined has produced a powerful and hypnotic sound and a new musical style of Nomad Blues. 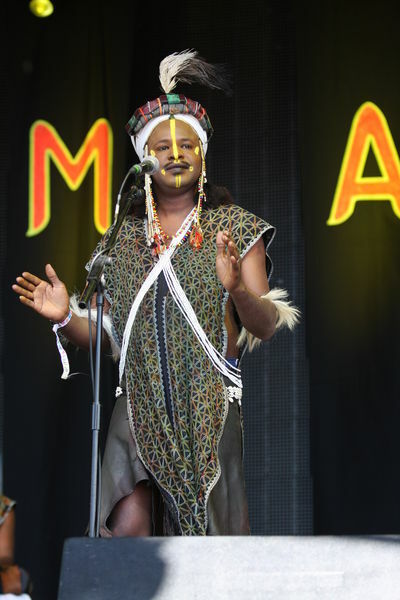 By 2005 they were touring Europe and appearing at WOMAD in 2006, after that they have travelled the wider world and have been to all five continents since. Three times to the US in 2008. 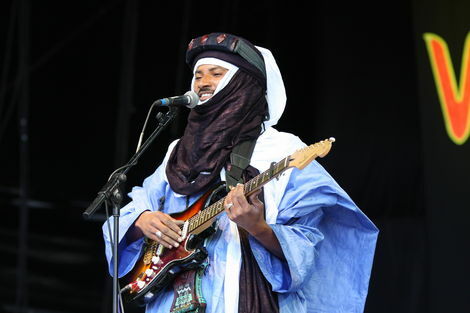 In Niger their music has a cult following and their songs are sung by the young and school children all over the country. 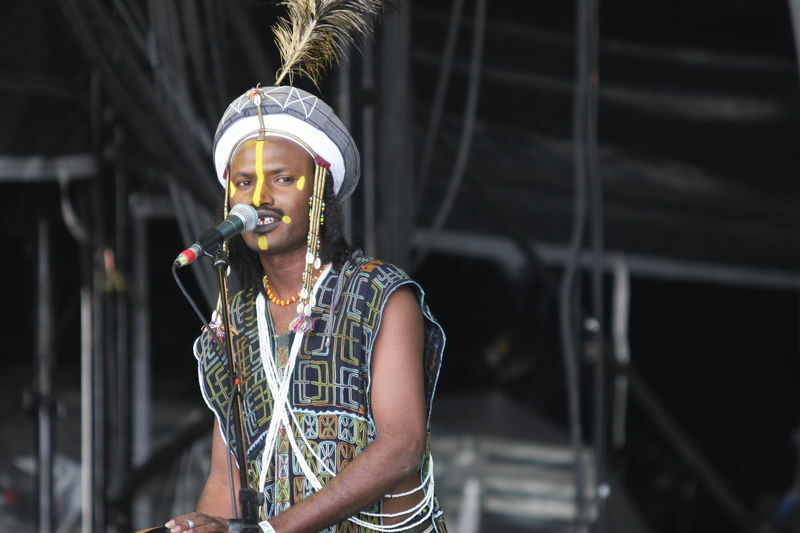 The traditional Wodaabe chants are a remarkable blend of choral polyphony and high tenor solos. They wear their traditional long embroidered tunics, leather hose and turbans with ostrich feathers as they would at their annual desert festivals. They adorn their faces with yellow spots and stripes to enhance their looks, and accompany their vocal music with the traditional calabasse (gourd) drums and a slow motion type of movement verging on dance and handclapping. The Tuareg have always used a variety of string instruments, tende drums and ululations to animate their songs and dances and since the 1970s they have used the guitar. This guitar style is called Ichumar and came out of their rebellion and exile in Libya, and is part of the repertoire of Etran Finatawa. They wear long flowing garments and touareg turbans. 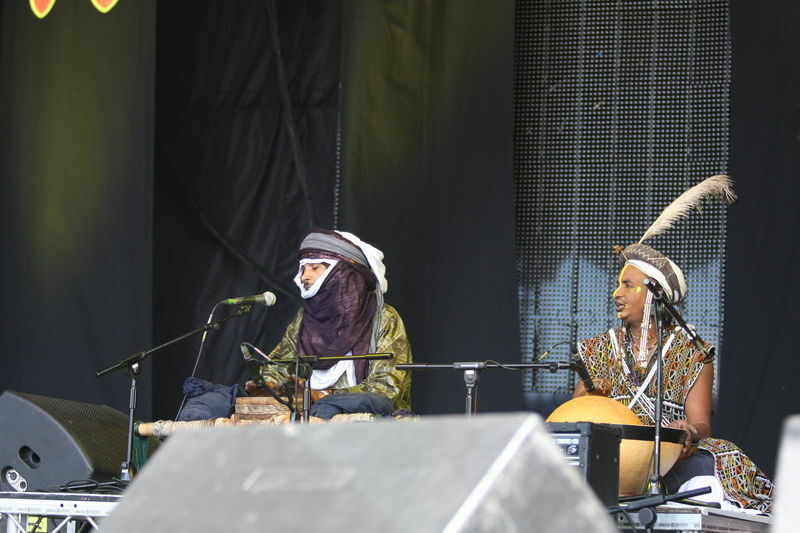 From the richness of these two united but distinct cultures they compose and sing their songs in two different languages, the Tuareg Tamashek and the Wodaabe Fulfulde. Their songs tell tales from nomadic life, of isolation and liberty, of extreme hardship and poverty, of a harsh climate, of beautiful women and happy days, of life giving animals and handsome beasts, of festivities and families, of stars and desert storms. Some of their songs are healing songs as they use music as a therapy in both cultures. 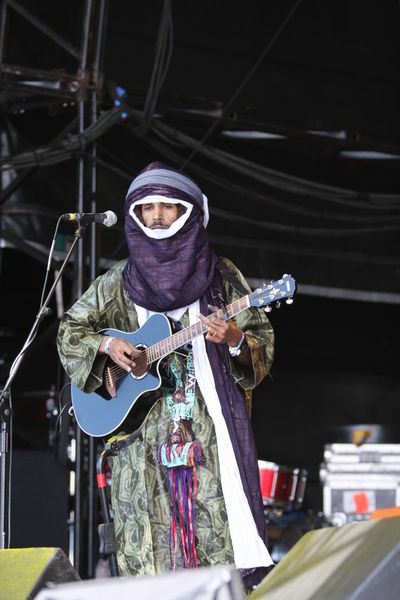 In this interchange of modern and traditional songs, handclapping and rich percussion often lead the songs and are an invitation to dance while the solo guitar of Alhousseini Mohamed Anivolla gives a special Blues groove to their music. 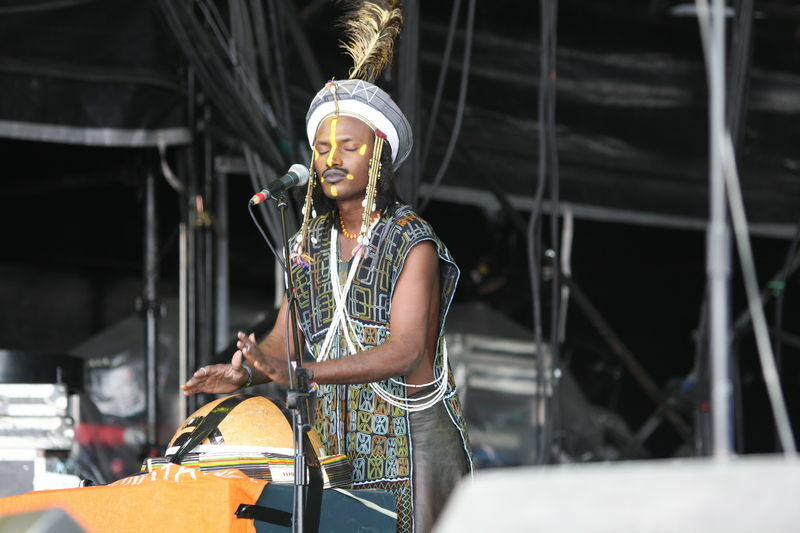 Their melodies, rhythms and vocals create a sound picture of the grasslands of the Sahel and arid desert. 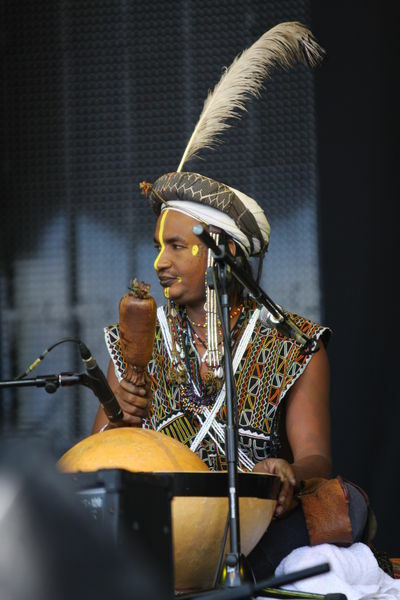 The rich and heady blend of the particular vocal sound of the Wodaabe singers, Bammo Agonla and Bagui Bouga, the strong singing voice of the Touareg Alhousseini Mohamed Anivolla and the polyphonic chorus of the whole band is the highly innovative, unique and rich sound and performance of Etran Finatawa. Tarkat Tajje / Let's Go!